Today, there are more than 25,000 endangered species worldwide, according to the International Union for Conservation of Nature (IUCN). That includes almost half of all amphibians, a quarter of all mammals and 13 percent of birds. Biodiversity is decreasing globally, with not only animal species declining, but also plants and other life forms. As the IUCN and other conservation organizations including Trout Unlimited, the Nature Conservancy, and the Peregrine Fund work to restore populations, identifying mates among scarce numbers and ensuring their healthy reproduction can often present unique sets of challenges. Still, hope remains alive for many threatened animals. Just in time for Valentine’s Day, here are six endangered animals that have found their mates and have taken a critical step towards saving their species. These adorable monkeys are among the 25 most endangered primates in the world, according to the IUCN. Their population is in critical danger of extinction, largely due to the destruction of their tropical rainforest habitats, as well as hunting and even illegal trafficking. 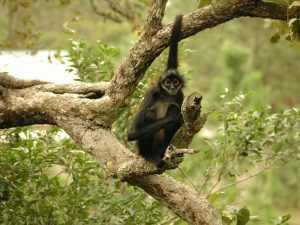 But one pair of spider monkeys at a Colombian Zoo just welcomed a baby in late 2018, making zookeepers and conservationists optimistic. The San Fe Zoo is currently home to one fertile male and several fertile females, which researchers hope will help restore this species. “The coming year we’ll probably have more births,” Carolina Diaz, flora and fauna coordinator, said. 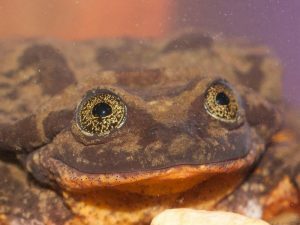 Romeo, the Sehuencas water frog, reached Internet stardom after scientists finally found a mate for him following a decade-long search. When researchers had all but given up hope, a Bolivian expedition formed by the Global Wildlife Conservation and the Museo de Historia Natural Alcide d’Orbigny managed to find not one, but five Sehuencas frogs—three males and two females. Though the females will need to be evaluated and treated for any health conditions before they’re introduced to Romeo, the species could be on the road to recovery after being nearly wiped out by pollution, climate change, and a deadly pathogen that swept its native Bolivian habitat. Sumatran tigers are critically endangered, largely because their natural habitats in Malaysia are being destroyed by palm oil farming practices. 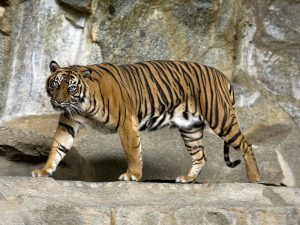 To help the species recover as part of the European Endangered Species Program (EEP), a male Sumatran tiger, Asim, was transferred from Denmark to be a mate for the London Zoo’s resident female tiger, Melati. The aim of the program is to save the species from extinction, but its success now depends on Asim and Melati’s ability to produce an offspring. The Rothschild’s giraffe is among the most endangered species of giraffe in the world. According to a 2016 estimate, only 1,669 of them remain in the wild. Illegal hunting has paralyzed the population, and continues to become more prevalent as the species declines. “While giraffes are commonly seen on safari, in the media, and in zoos, people, including conservationists, are unaware that these majestic animals are undergoing a silent extinction,” said Dr Julian Fennessy, co-chair of the IUCN Special Survival Commission. But just recently, breeders at the Prague Zoo were able to successfully pair up parents Faraa from Switzerland and Johan from the Netherlands. 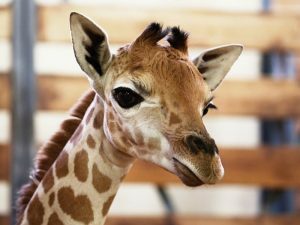 The two giraffes just welcomed a baby female earlier in January, named Modelka. 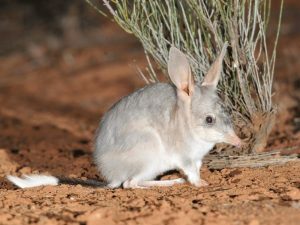 Once widely spread throughout Australia’s desserts, bilbies have disappeared from roughly 80 percent of the region they roamed, largely because their food sources have gotten destroyed by various environmental changes. However, the Save the Bilby Fund recently celebrated a major win earlier this year, when a bilby pair mated and produced a set of triplets. With less than 700 bilbies remaining in their native Queensland, Australia, the Dreamworld Wildlife Foundation has doubled down on trying to protect and restore the species, in collaboration with the Save Bilby Fund. There are a number of challenges standing in the way of okapi preservation—the species has lost at least 50 percent of its population since 1995 due to poaching and habitat loss. Plus, the political unrest in the Democratic Republic of Congo where the species lives makes it difficult for researchers to get near the animals. 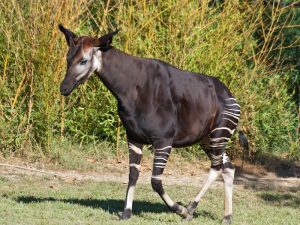 Still, the San Diego Zoo has taken major strides when it comes to their work in restoring the okapi after welcoming a rare male okapi calf, the second in two years. Mom Subira and her mate have been instrumental in keeping this species, which looks like a cross between a zebra and giraffe, alive. Ready to fall in love with endangered species and help protect them? 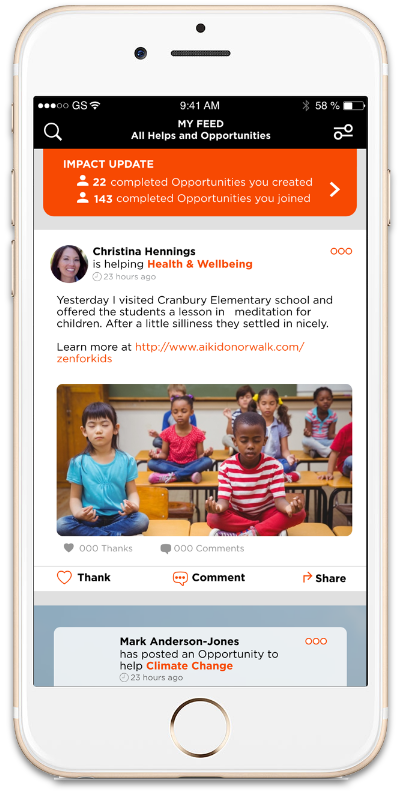 Discover how on ThatHelps app. Photos: Nathalie Spehner, Wikipedia Commons, Frogheart, Prague Zoo, Australian Wildlife.